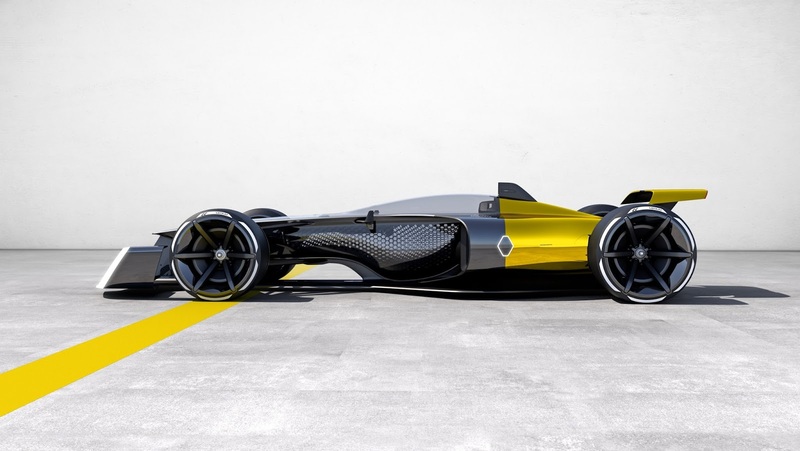 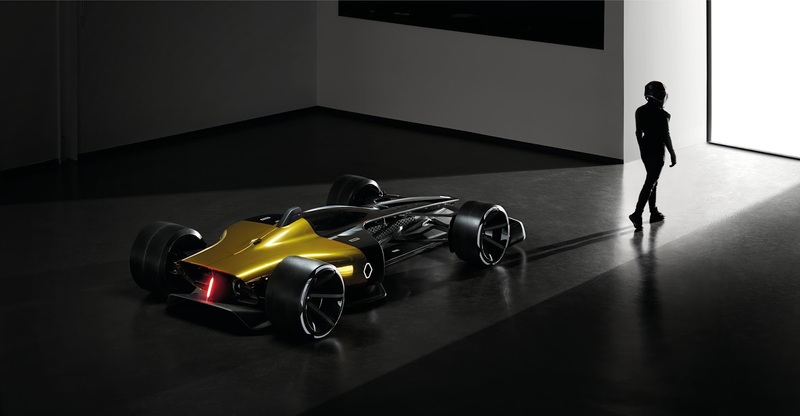 Renault reveals its vision of Formula 1 in 2027: more spectacular and more human where the driver, and entertainment, are front-and-centre. 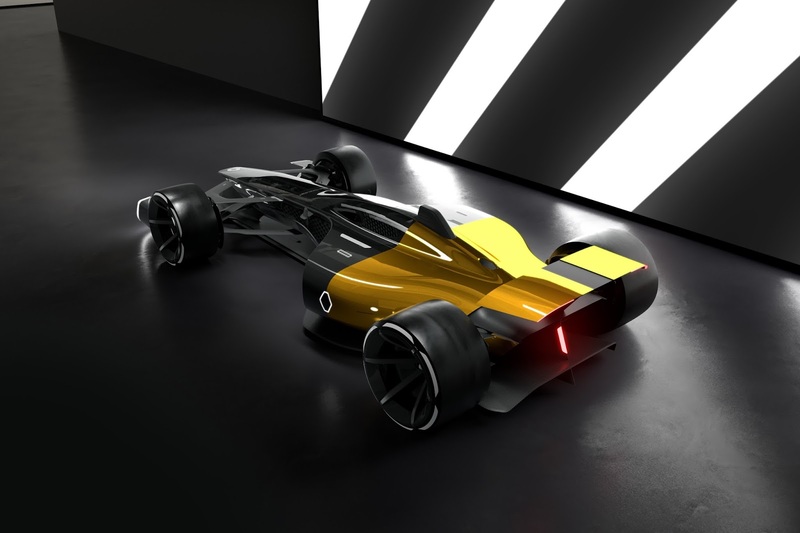 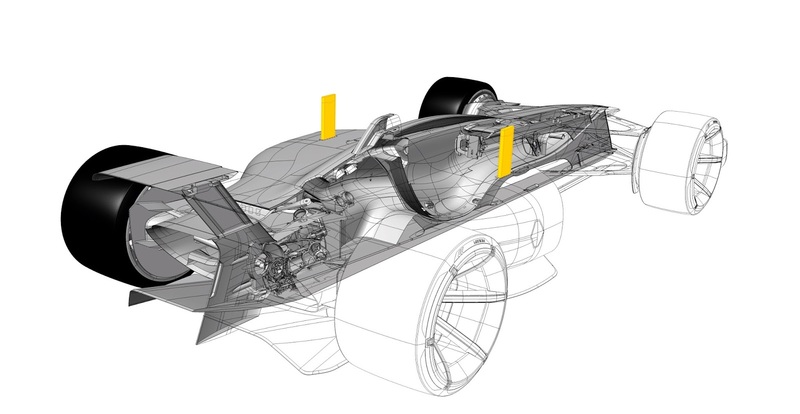 This forward-thinking concept demonstrates Renault’s long-term commitment to Formula 1, playing a major role in the development of the competition, while putting the driver back at the heart of the sport. 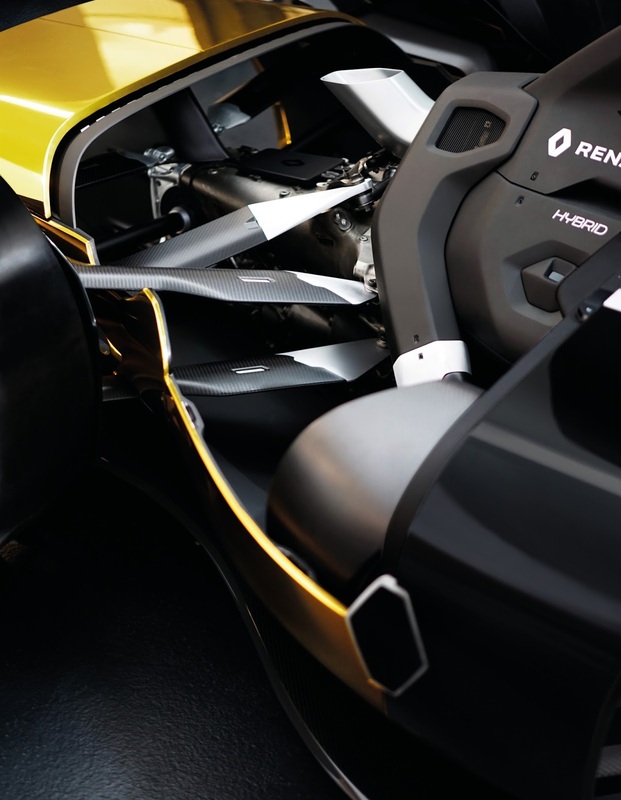 Renault’s R.S. 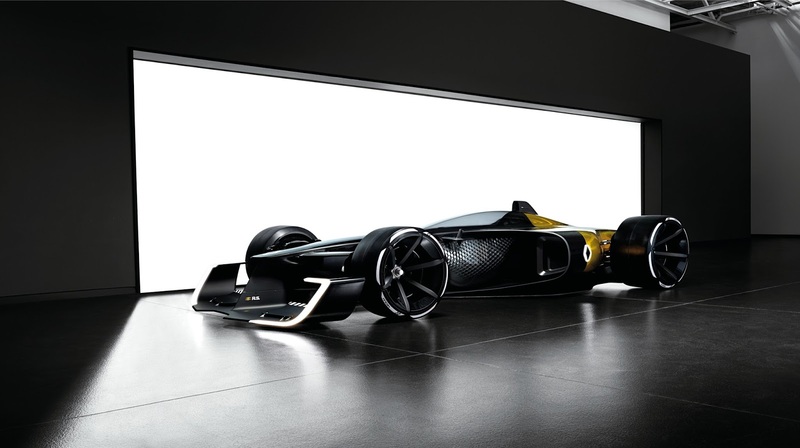 2027 Vision concept also highlights the path where technology transfers from racing to road cars over the next ten years. 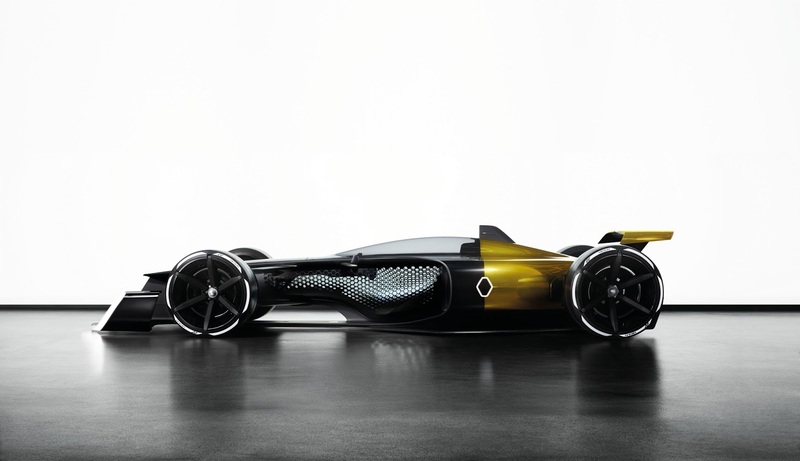 Design team: Renault Design, Yann Jarsalle, Victor Sfiazof, Stéphane Janin, Laurens Van den Acker, Emmanuel Klissarov, Anton Shamenkov. 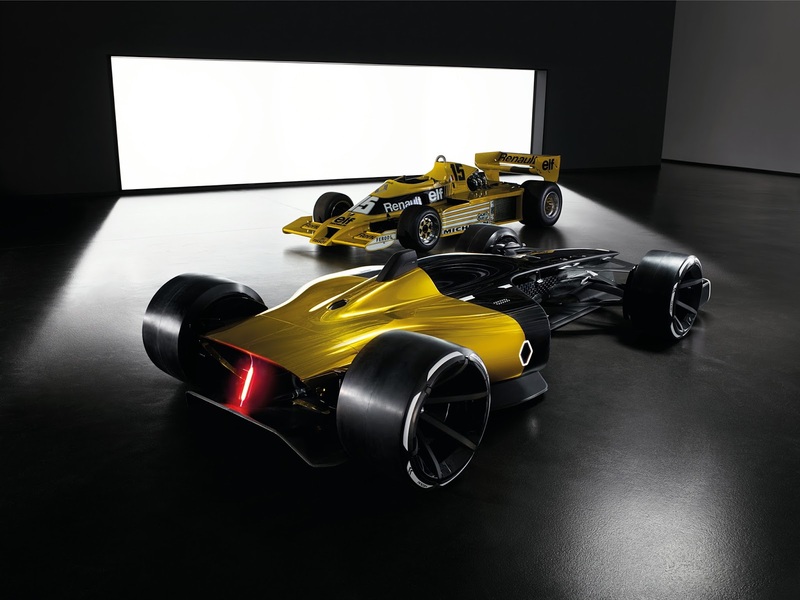 Renault’s vision of Formula 1, ten years from now, places people at the centre –one of Renault’s core values – as a vital cornerstone of F1 experience. 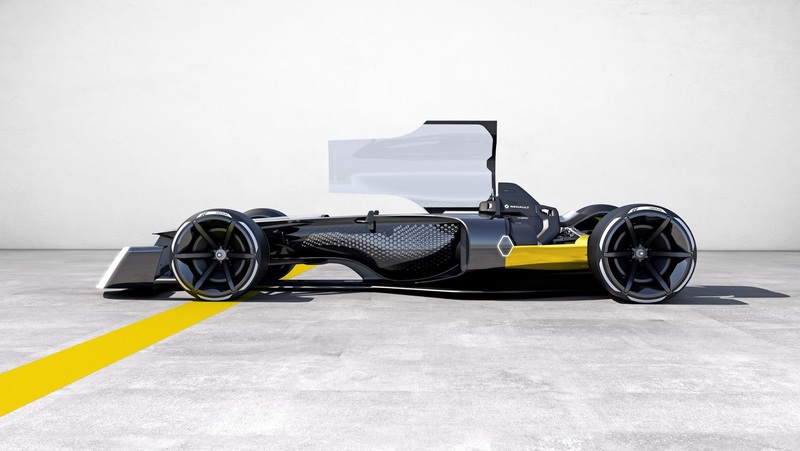 Propelled by a high-powered engine, the driver can showcase qualities as a top athlete for the pleasure of fans. 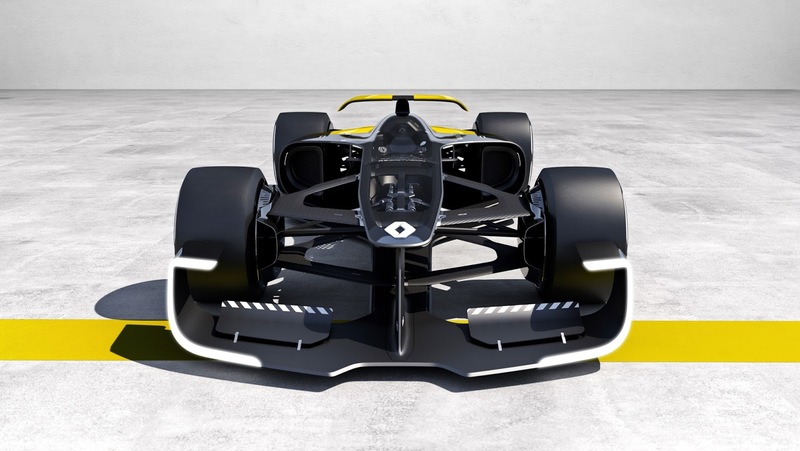 More attractive, Formula 1 also becomes safer, to better protect participants, and takes more active responsibility towards the environment. 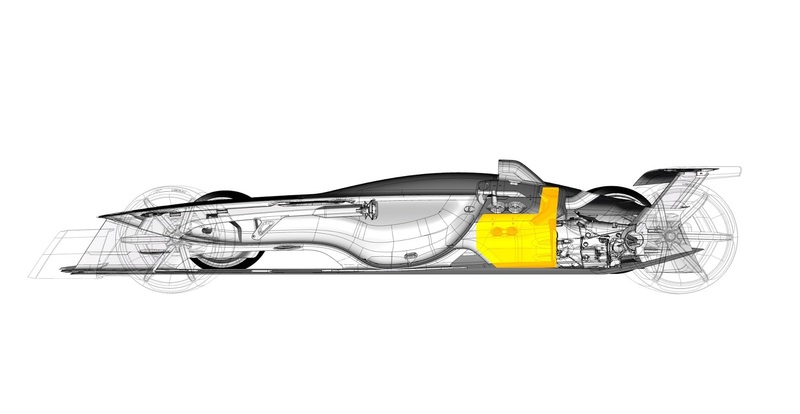 The year is 2027. 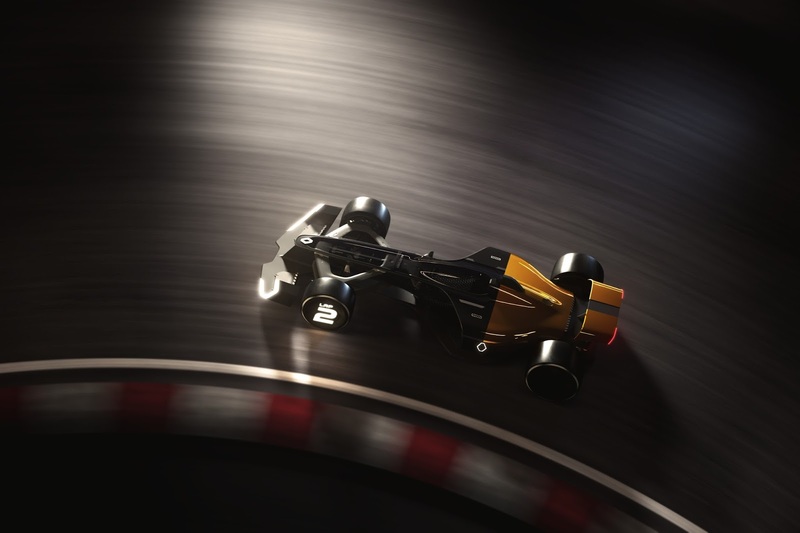 At every Grand Prix, the competition is fierce. 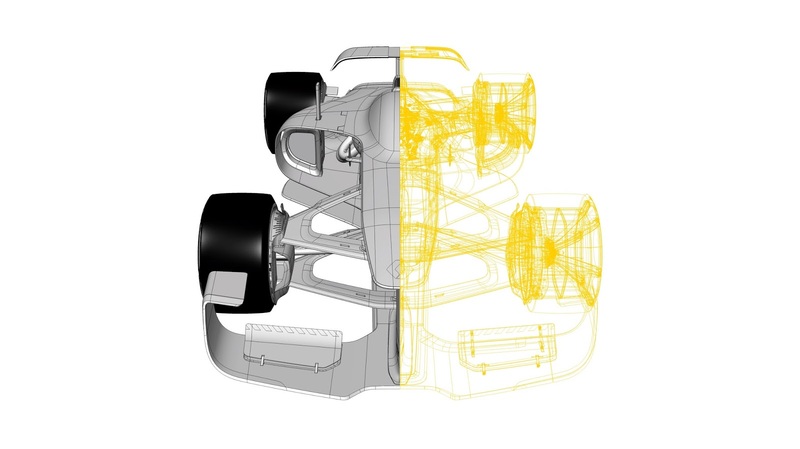 With a weight / power ratio never before reached in the history of Formula 1 (1 megawatt on the whole for a weight limited to 600 kilos), human performance is at the heart of the sport. 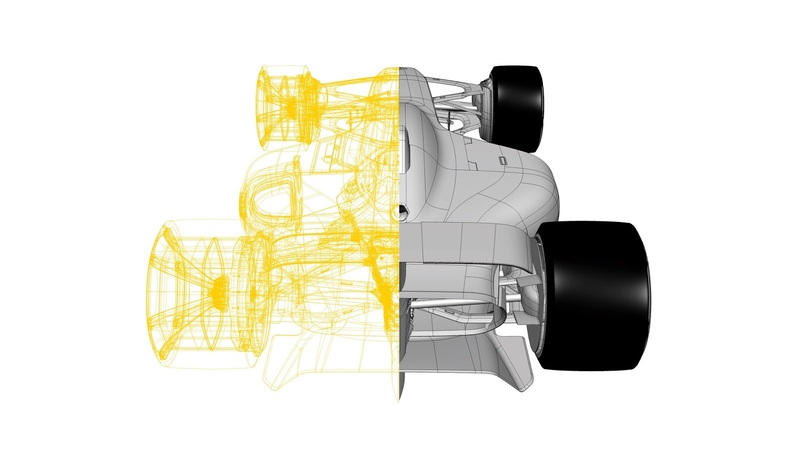 To make Formula 1 more captivating, fans benefit from a closer connection to the driver, whether they are watching trackside or on television. 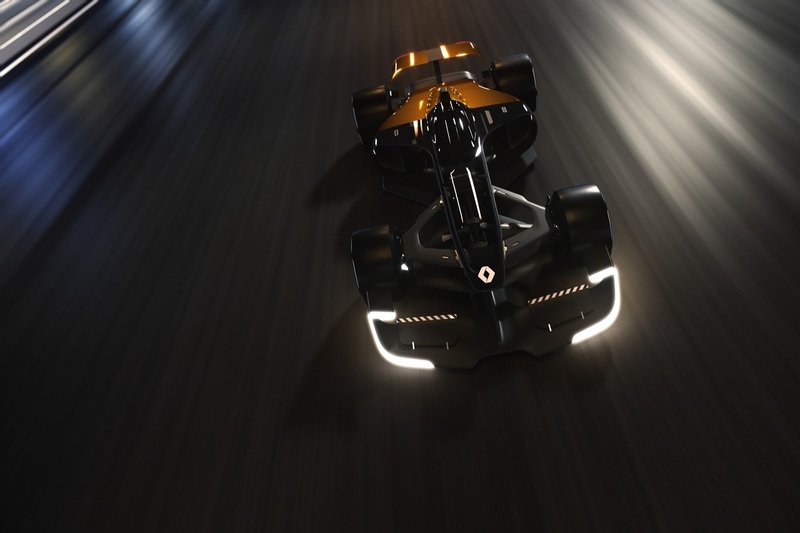 Thanks to its transparent cockpit, the R.S. 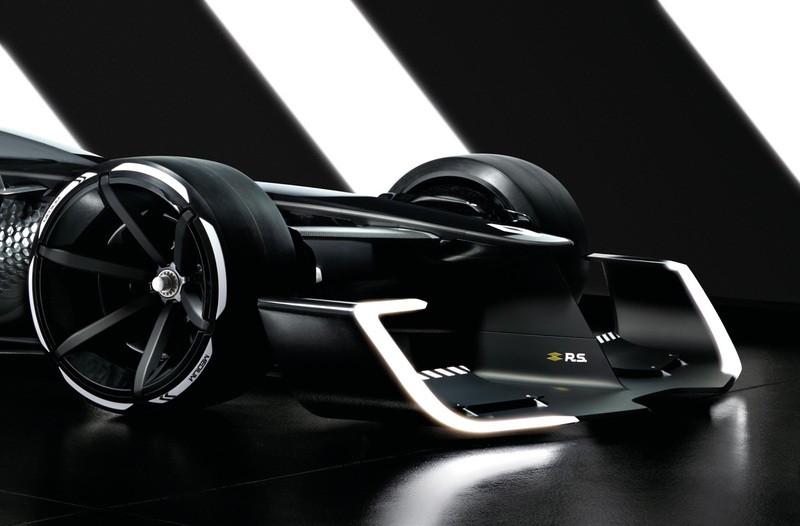 2027 Vision concept provides the best-ever view of the driver at work. 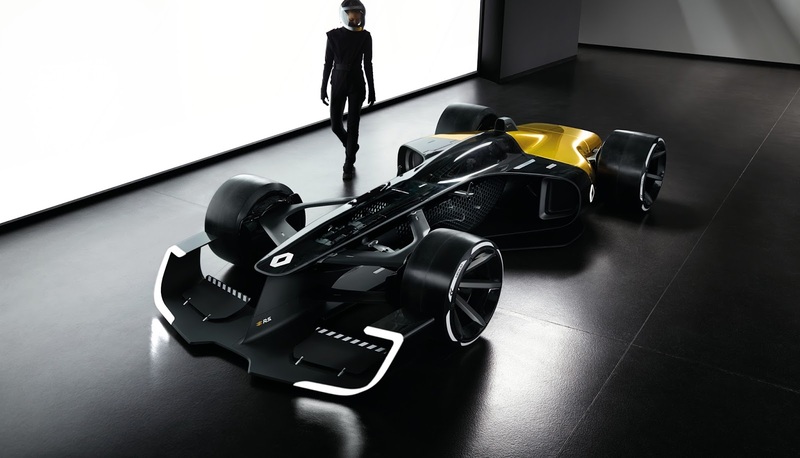 This resistant, lightweight shell is 3D-printed, with forms tailored to the driver’s body, mirroring how the design of Renault’s road-going models is directly inspired by the human body. 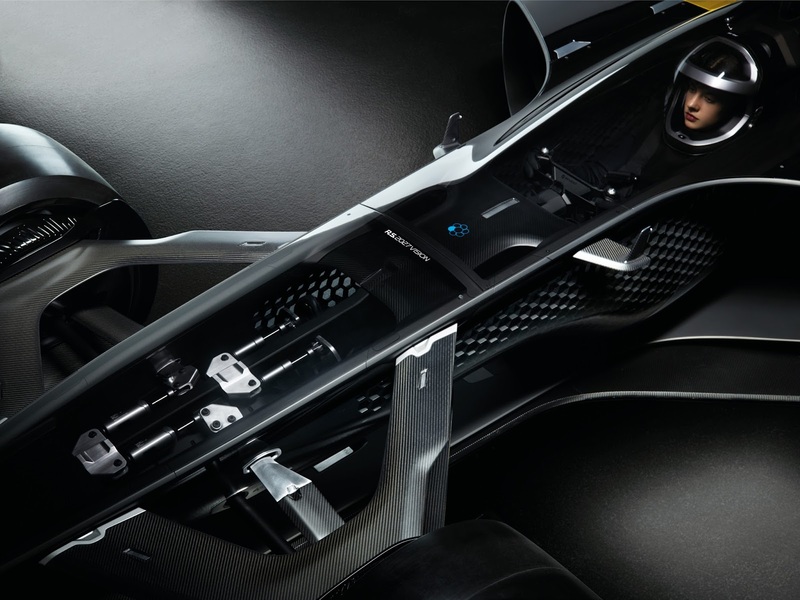 The helmet is also transparent, enabling fans to see the driver’s face and expressions. 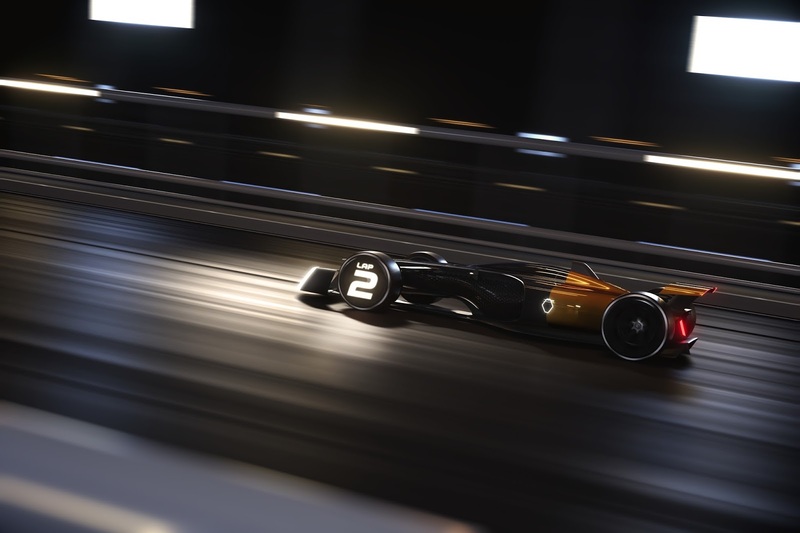 Active LED lighting incorporated into the wheels displays a range of information, including the driver’s position and the car’s remaining energy reserves, making it easier for spectators and television viewers alike to understand how the race unfolds. 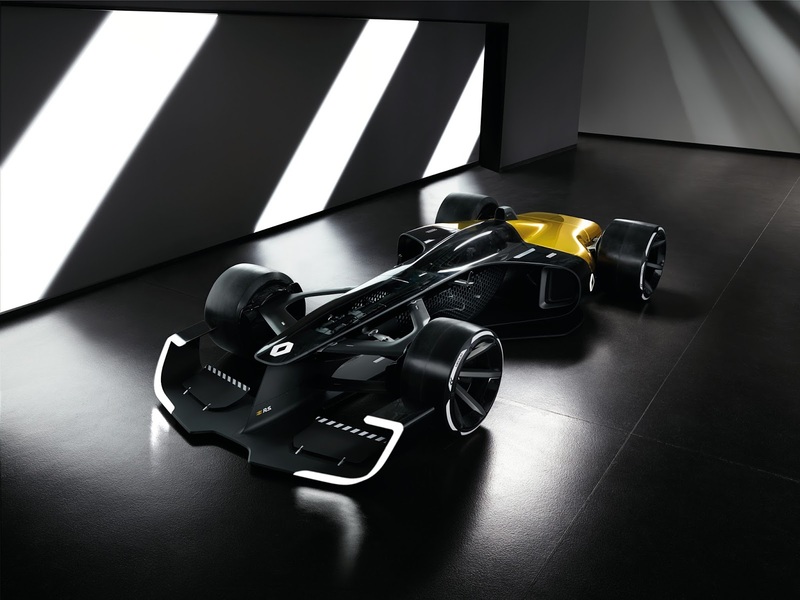 The digital display in the centre of the steering wheel informs the driver of his ‘fan ranking’ position, which is determined by spectators’ interaction on social media, rewarding the most deserving driver on the track with an additional boost of power in the last laps. 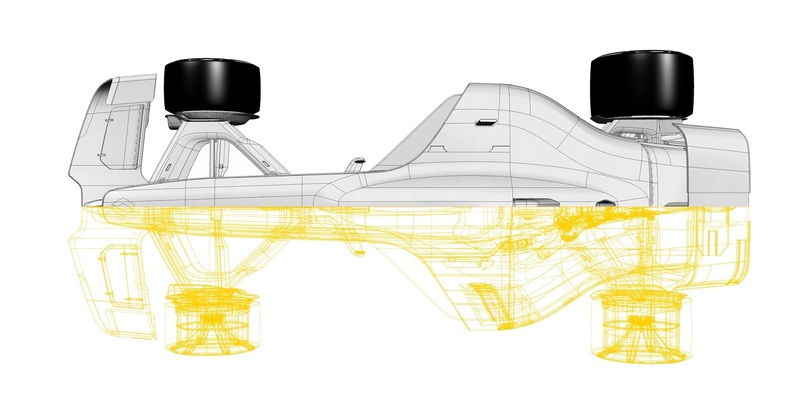 Some of the driver’s telemetry data is accessible to fans via the Internet, enhancing their overall understanding of the race and the strategy. 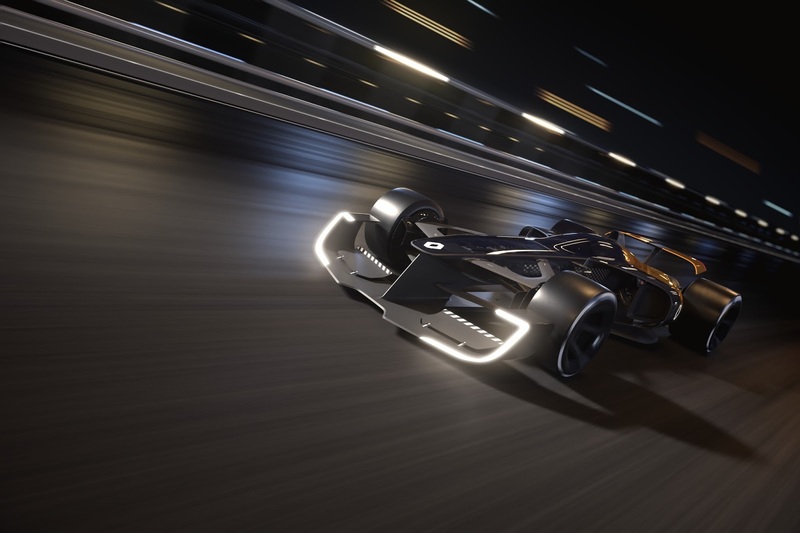 This data also allows connected players to participate real-time in the race and compete against their heroes. In terms of design, Formula 1 evolves to become equally appealing to racing enthusiasts while it attracts new fans. 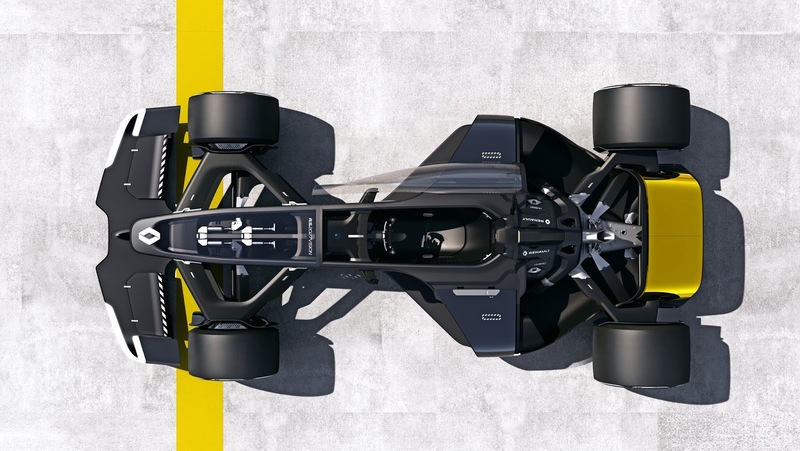 The cars are instantly recognisable as F1 single-seaters, with their long, slender nose, side pods and four open wheels. 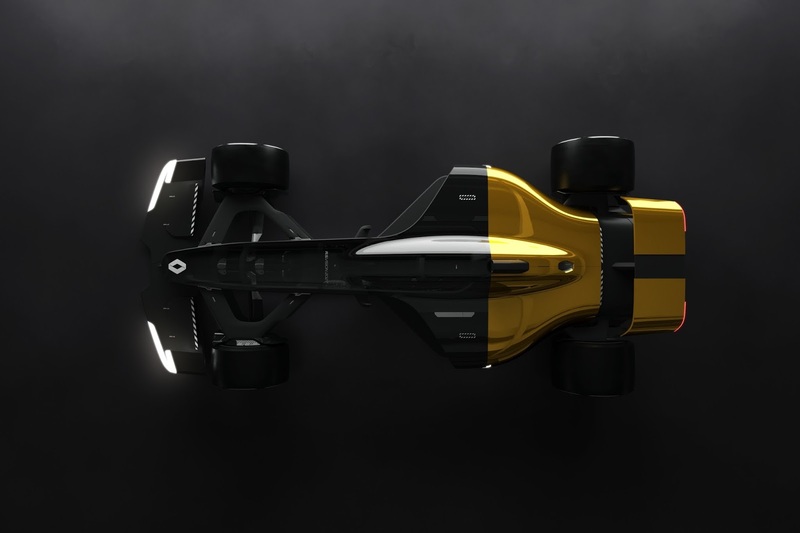 Their design is both finely-honed and more aggressive. 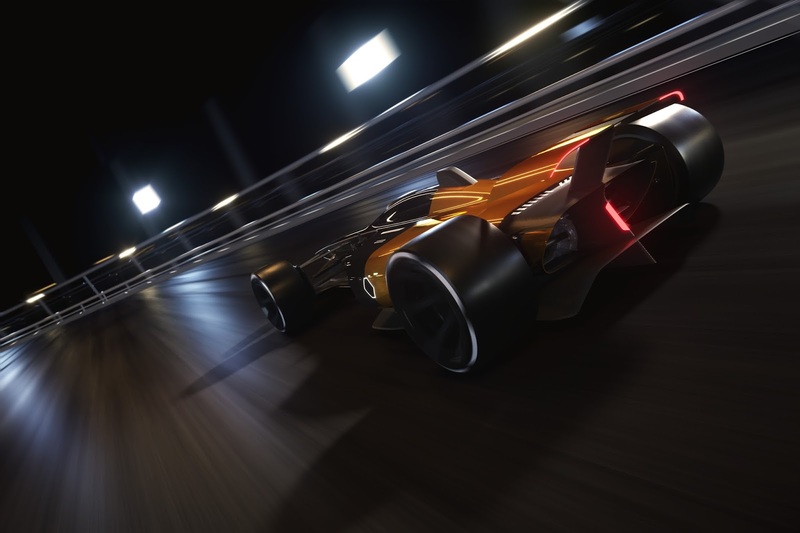 In addition to the roles they play in optimising performance and energy efficiency, the combination of mobile aerodynamic features and active lighting systems make the cars more ‘communicative’ for spectators and television viewers. 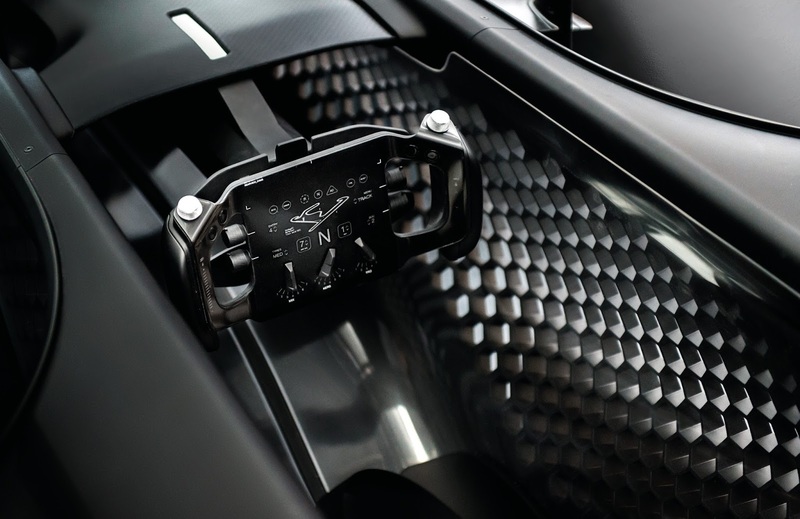 In the case of the R.S. 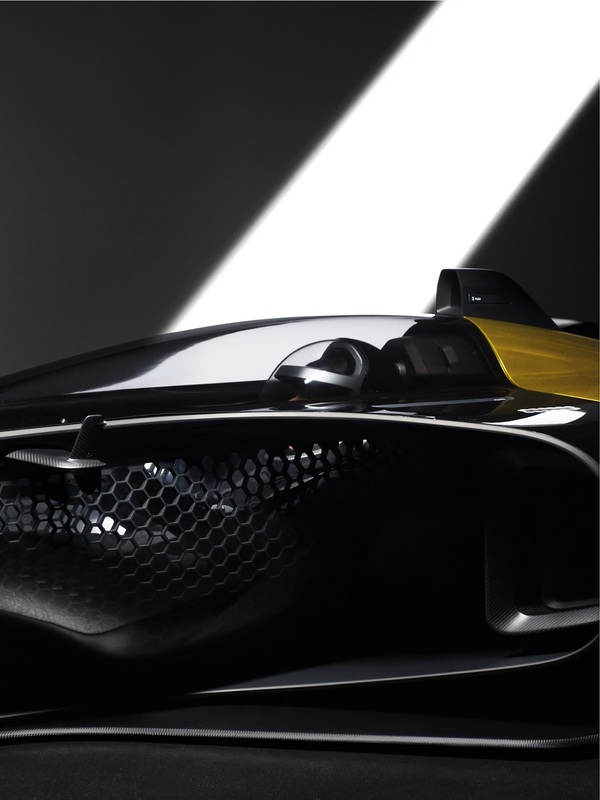 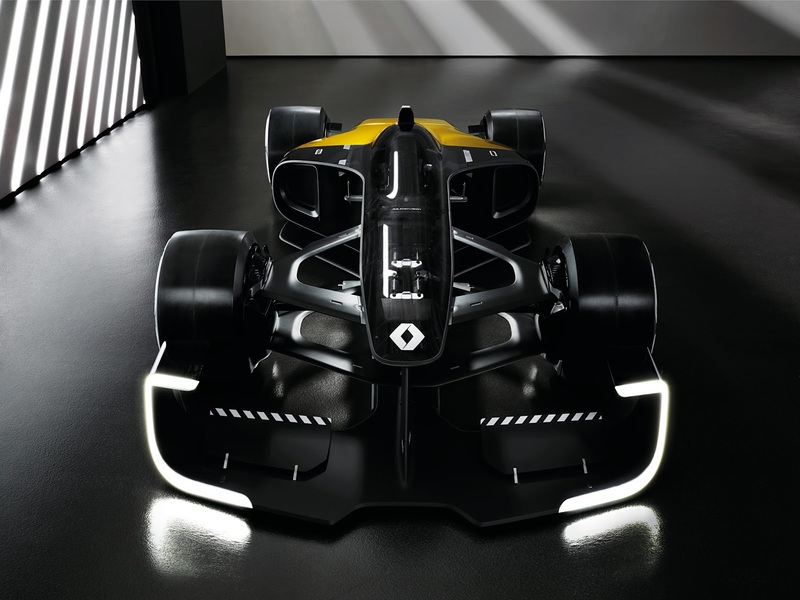 2027 Vision, bold features like the C-shaped LED front lights and the illuminated Renault diamond on the engine cover provide a visual tie between the racing car and Renault’s road-going models. 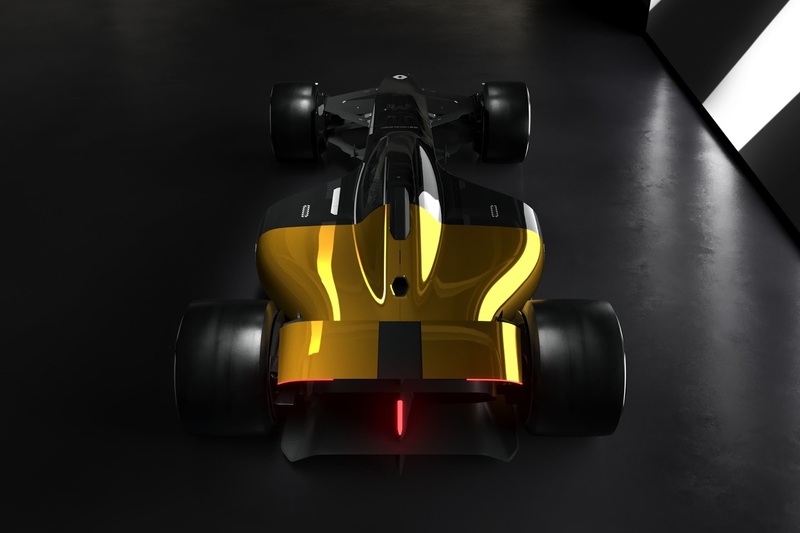 To make the show even more captivating for spectators, the colour emitted by these lights switches from a white to a blue hue when the electric mode is activated.